Over the years, I've tried lots of different recipes in the bread maker in search of THAT loaf of bread that we make every week. A few months ago, I came across a recipe on the King Arthur Flour website, and it has been our go-to ever since. It's great for a sandwich, all by itself, toasted, or for grilled cheese/paninis. I also use any leftovers after a few days to make breadcrumbs that I keep in the freezer. Several months ago, I went looking for a great drop biscuit recipe. I wanted something I didn't have to bother with rolling out, and it needed to have wheat flour. I came across a recipe that we've now made at least 15 times at our house. Because it is so quick, I can have bread on the table with dinner on those nights that I forget to put together a yeast bread earlier in the day. We've had these with breakfast, soup, roast, and veggies, and they've worked well with each meal. These have just a hint of sweetness (and are amazing with a little bit of honey! ), but the possibilities are endless. If you wanted savory biscuits, you could leave out some or all of the sugar and add in garlic, onion, cheese, chives, or any other combinations of herbs and flavors to pair with the meal. Every time I've made these, they've been a hit! Preheat oven to 450 degrees. Spray a cookie sheet with non-stick spray or line with parchment paper. In a medium-sized bowl, mix the flour, baking powder, sugar, and salt until well-blended. Add the milk and the melted butter, and stir the mixture just until it all comes together. Using a tablespoon, drop by large spoonfuls onto the prepared pan. Bake at 450 degrees for 13-15 minutes, or until brown on top. Serve with butter, honey, or preserves. Makes approximately 9 large biscuits or 12 smaller biscuits. One of the large biscuits is 4 Weight Watchers Points Plus points. Haven't you heard? Urban farming is all the rage these days. Since we have a ginormous backyard, free time on our hands (ha! 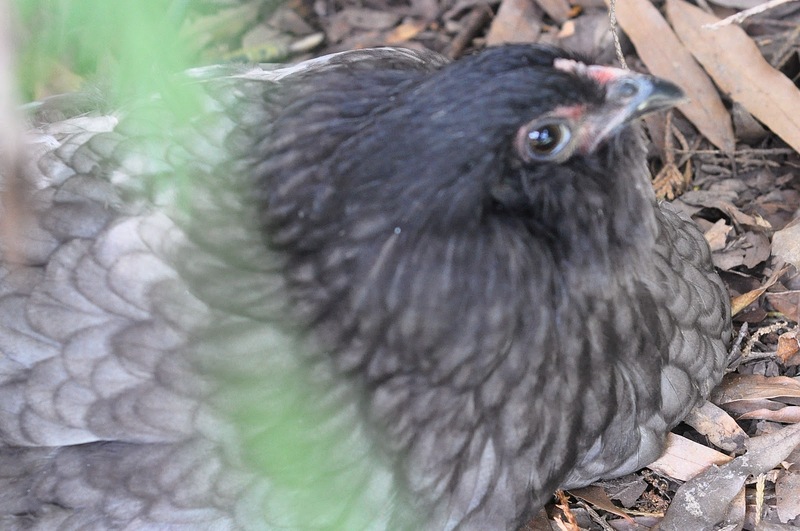 ), and want our own fresh eggs, we decided to jump into the backyard chicken craze. 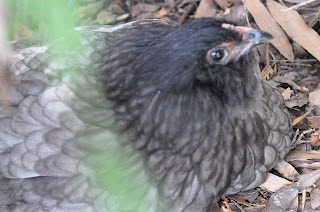 Our friends have had theirs for a couple of years now and have started hatching chicks for others. About 3 months ago, we went and picked out 8 baby chicks. (FYI - baby chicks are a lot of trouble. But darn cute.) Just in the last couple of weeks, we've started to figure out who's who - who lives at the top of the pecking order, who's the most easily scared, who has the funniest run, and - most importantly - which ones are roosters. As pretty as roosters can be, they're not generally welcome in the big city. We still have one left, and he will hopefully find a new home ASAP - the domestickate homestead is no longer an option. Charlene - Kind of goofy, and you just can't help but love her. Mary Jo - Spunky and red. Julia - The most refined of the group, and the head hen. 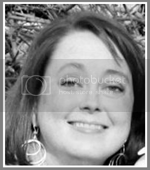 Suzanne - The beauty queen of the group - love the gray and white feather mix. The coop still needs to be painted - hopefully sometime soon, or it won't happen until the Fall. My original plan was to paint it gray and white, but now I'm debating other colors. Maybe red? Or blue? Can't decide... I want to add a little LED lantern on the end without a nesting box. So, the blog is being taken off life support and will start seeing new posts on a regular basis very soon. You may notice the change in domain name - I decided to go ahead and jump in with both feet with an actual domain name. Lesson learned in the last couple of days - I should have purchased that bad boy when I first started using "domestickate." Alas, you live, you learn, right? So, The Real Domestickate is back in business and will chronicle recipes, crafty projects (and all of the hilarity that inevitably ensues when I try to be crafty), chicken stories - we have 5 now!, and general domestic-like stuff. This is mainly for me to keep up with what works and what doesn't, and it's also a scrapbook of sorts. I'll also be working on improving my photography skills - I had started a couple of years ago just for fun, but that also fell by the wayside over the last year or so. I have no interest in starting any kind of photography business; I just want to be better at it for our own pictures. So, for the 5 of you who actually read my blog, here we go again!